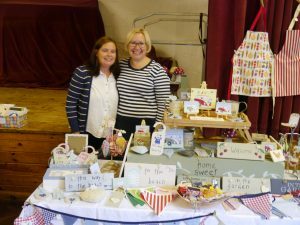 The 'Smokin Spitfires' are here again having wowed the crowds back in June 2017 at the Heighington Village Fair. The Ticket price above includes a Pie & Pea Supper and there will be a fully 'Licensed Bar' available. Don't miss this years special event on the village green & in the village hall with Mulled Wine available to keep out the cold. Children from the Heighington Church of England Primary School will be singing their hearts out plus a very special guest will be in attendance. Gareth makes a very welcome return to the Heighington Village Hall, helping us to start our 2017 Christmas festivities. 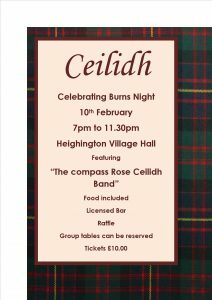 Traditional Burns Night Food is included and there will be a fully 'Licensed Bar' available. The ticket price includes a glass of wine so enjoy! Inaugural Screening of The Greatest Showman. Doors Open at 7.00pm Screening starts at 7.30pm. On this occasion entry and refreshments will be FREE. Why not come along and sign up to the cinema club for an annual fee?